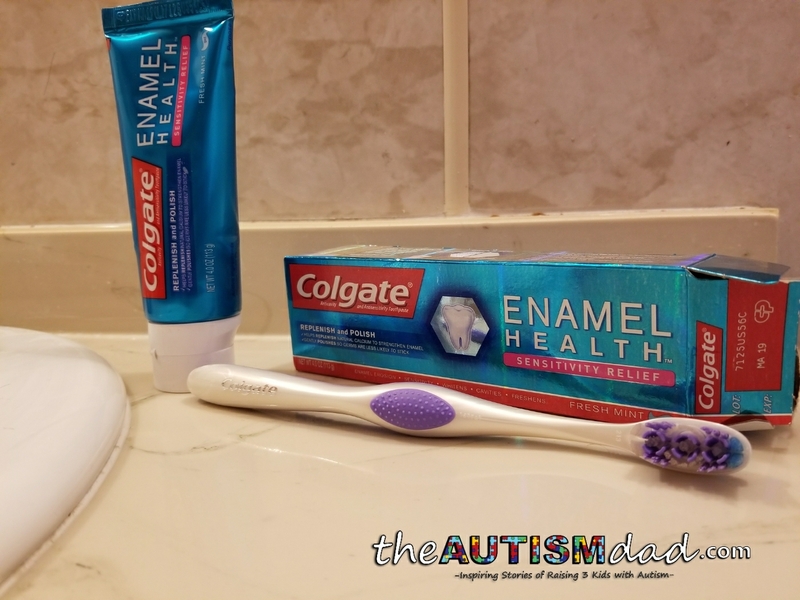 This post is sponsored by #ColgatePartner and is intended to share my family’s experiences using their oral hygiene social stories to help our kids with Autism maintain good oral hygiene. 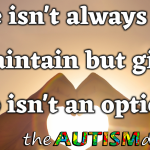 Being an Autism parent is full of many challenges. 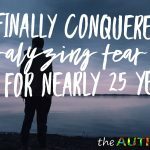 We all face a unique set of circumstances, but there are usually a few common threads that tie us all together. 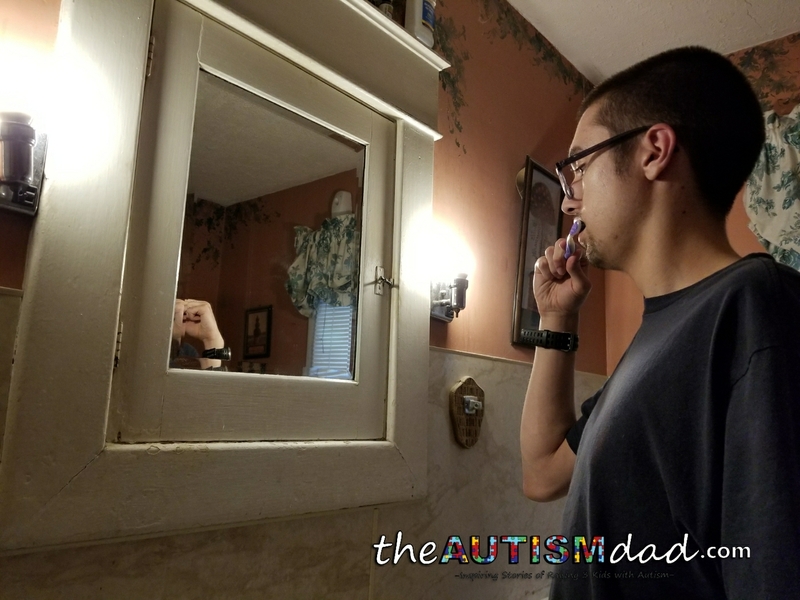 One of the challenges my family faces is regarding helping our kids with Autism learn personal hygiene. 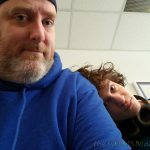 In my experience, with my kids, personal hygiene is something that doesn’t seem to come naturally, especially with my oldest. One of the most essential elements of personal hygiene is maintaining good oral health. This has always been problematic because my oldest struggles with a lack of self-awareness and reduced memory function. 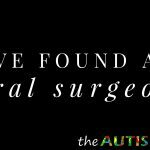 He tries his best, and I’m so proud of him for never giving up, but he needed some help. 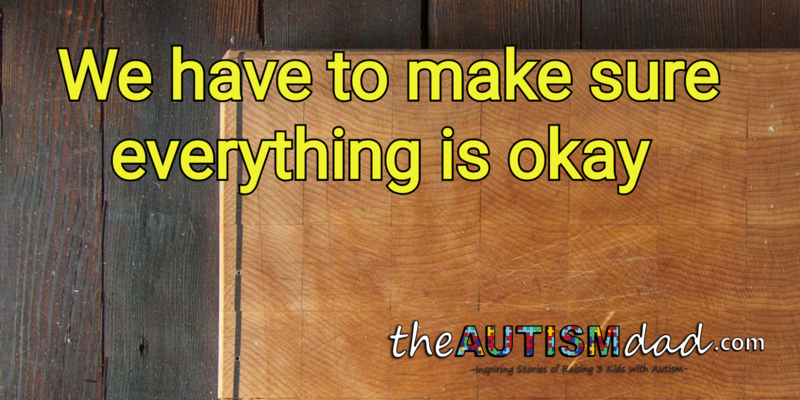 When you’re dealing with as much stress as I am on a daily basis, it’s very easy for things to slip through the cracks. An excellent example of that is if I don’t stay on Gavin to brush his teeth, he will rarely remember to do it on his own. If he does remember, he will spend about thirty seconds brushing his teeth before he’s done and never does any of the follow-up things like wiping his mouth or rinsing the sink. 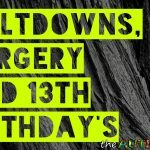 My wife, Lizze, and I are always having to remind him about these things, and Gavin gets upset because he doesn’t want us to have to remind him. 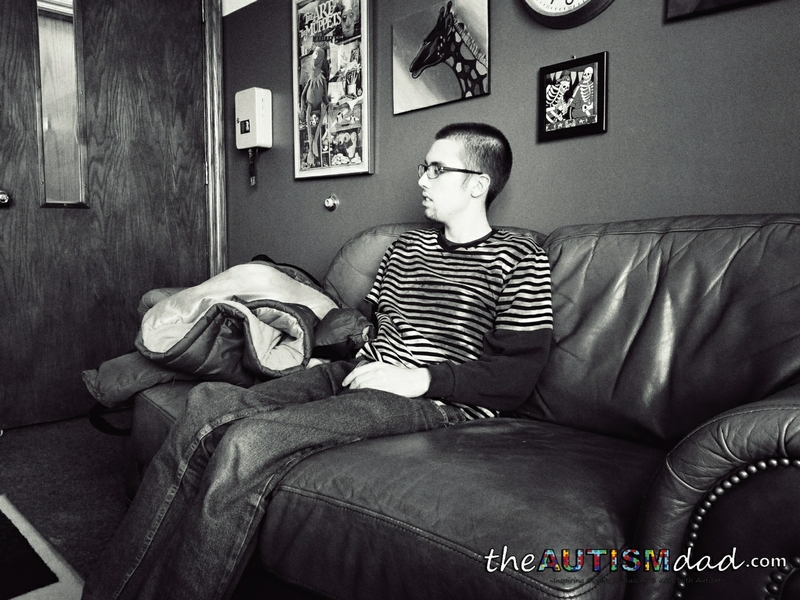 Kids on the Autism Spectrum tend to respond well to visual prompts, and Gavin’s no exception. We’ve tried post-it notes or other visual aids, but they weren’t engaging enough to capture and maintain his attention. 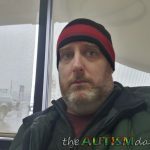 I hate to admit this, but in all my years of being an Autism parent, I’ve never really used social stories before. I didn’t have anything against them, but my kids were never interested in them, and so I never pushed them. Lizze and I decided to revisit the use of social stories, but we needed to do it in a way that involved his tablet. Gavin lives on his tablet. I had recently learned that Colgate and MagnusCards had partnered to build a solution that helped kids like Gavin learn to maintain his oral hygiene better. I put the app on my tablet and created an account. It’s free and quite easy to do. When I loaded the app, I searched Colgate and discovered that they have quite a few social stories regarding taking care of one’s teeth. 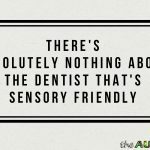 They have social stories for Brushing Your Teeth, Brushing Your Teeth with Braces, Flossing Your Teeth with a Floss Pick, Using Mouthwash and Visiting the Dental Office. 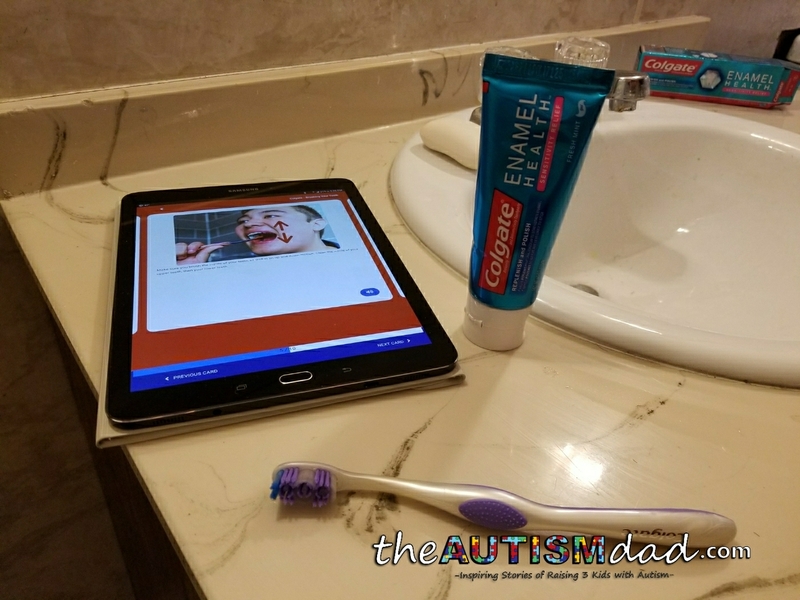 We started with the basics, and since Gavin doesn’t have braces, we used the Brushing Your Teeth social story. I’m going to be honest with you, I was amazed at how this was put together. 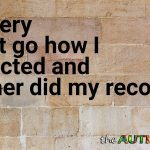 It’s effortless, straightforward and provides step by step instructions, along with pictures, to help Gavin learn to do these things on his own. I wasn’t quite sure how Gavin was going to react, but he likes the app. 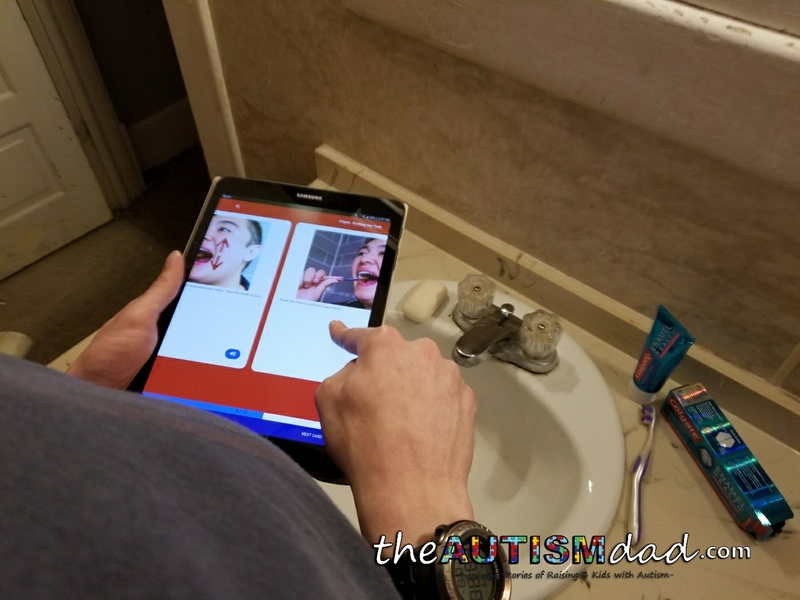 He loves that it’s on his tablet and that he can follow the directions to brush his teeth. 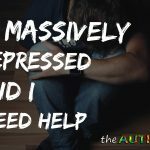 I think he feels much better because if he forgets something, he can figure it out on his own, rather than having to ask for help or us having to remind him. Gavin needs a great deal of repetition, before he masters a skill. Using the MagnusCards, along with Colgate’s social stories, Gavin can refer to the step by step guide. Right now, we’re working on the basics, but he’s doing better. As he progresses in his ability to brush his teeth correctly, we’ll move into flossing and using mouthwash. 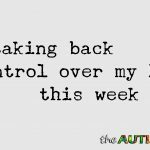 For the moment, this system is helping Gavin to be more independent, and that’s something Gavin feels good about, and so do we. Thank you, Colgate, for creating something that helps kids like Gavin to better manage their oral hygiene. I can honestly say that using these social stories is helping him gain more independence in a very important area of his life. I strongly encourage everyone to check out the video below to learn more about the Colgate and MagnusCards partnership. You can also visit colgate.magnuscards.com to learn more about the free app.